July 18, 2018 will mark a major milestone in the incredible story of Nelson Mandela – his Centenary. Cape Town Opera, Naspers, the Western Cape Government’s Department of Cultural Affairs and Sport and Artscape’s celebration of Mandela’s life is a portrait of a man who touched hearts and minds around the world. 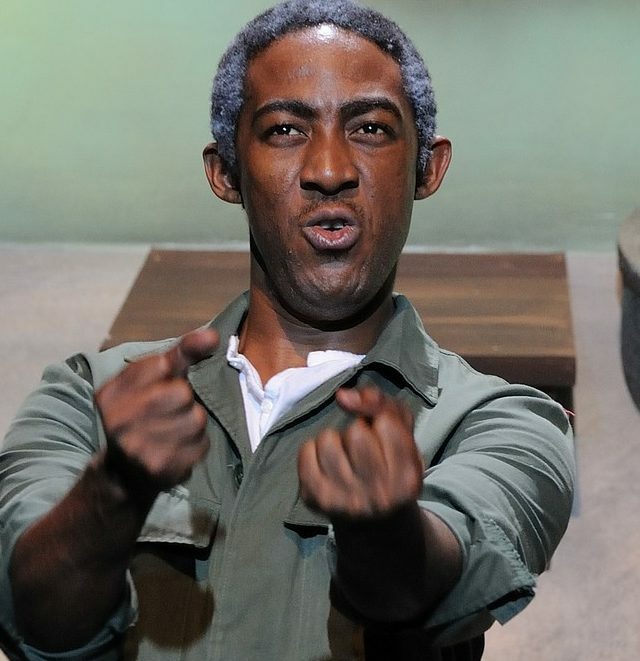 The award-winning ‘Mandela Trilogy’ has toured to the United Kingdom, Italy, Germany, Ireland, the UAE and Hong Kong. Thist story of South Africa’s legendary leader, Nelson Mandela, comes to Artscape on Tuesday and Wednesday, July 17 and 18. ‘Mandela Trilogy’ employs a unique fusion of traditional Xhosa songs, jazz tunes and modern music in honour of one of the world’s most inspiring statesmen. The work consists of three acts – an encounter with traditional rural music, a jazz musical and an opera – representing the diversity of expression in contemporary South Africa. Composers, Peter Louis van Dijk, Mike Campbell and librettist, Michael Williams, collaborated to musically identify and complement different phases of Mandela’s life, providing three singers with an opportunity to portray the complex aspects of his personality. We meet the composers of the music, Peter Louis van Dijk and Mike Campbell. “Composing the music for ‘Mandela Trilogy’ has been a highlight of my creative career. Forty years after composing my first opera as a student, I was as excited as ever for the opportunity to create a stage work with Nelson Mandela as the hero – and indeed, he became my hero too. I have lived with his strengths and weaknesses, his joys and his despair – as a man, a husband and a father. As I wrote his prison aria, I wept for the injustice, the ridiculousness of being wrongfully incarcerated for so long, for his dignity – in awe of his self-discipline and single-mindedness, his ability to forgive those who had persecuted him and his eventual liberation. “Writing Act 2 for Mandela Trilogy has been an interesting experience because it has combined arrangements and adaptations of some iconic tunes from South Africa’s history with my own compositions, all bringing to life this part of the story in character with the music of that period and popular culture. There are a few different styles in Act 2, highlighting the distinctive qualities of the principal performers. I felt that playing to a cosmopolitan audience, some latitude could be given to historical/theoretical accuracy in favour of a more contemporary sound that would feature the broad range of the company, soloists and orchestra. ‘Mandela Trilogy’ has an overall diversity in sound, look and feel between the different acts, so this approach seemed appropriate, and I believe has worked well. Jazz, indigenous music and even a little Broadway and dance found its way into my score for Act 2: all have gone into the ‘melting pot’ of South African music, certainly that which would have been enjoyed by Nelson Mandela and his contemporaries during the time of Sophiatown and beyond. Tickets range in price from R130 to R280. Corporate packages are available and include a glass of bubbly on arrival and a complimentary souvenir programme.